This world-class center for the performing arts, serving the university’s community and the greater Sacramento area fulfilled one of the University’s long-awaited goals. 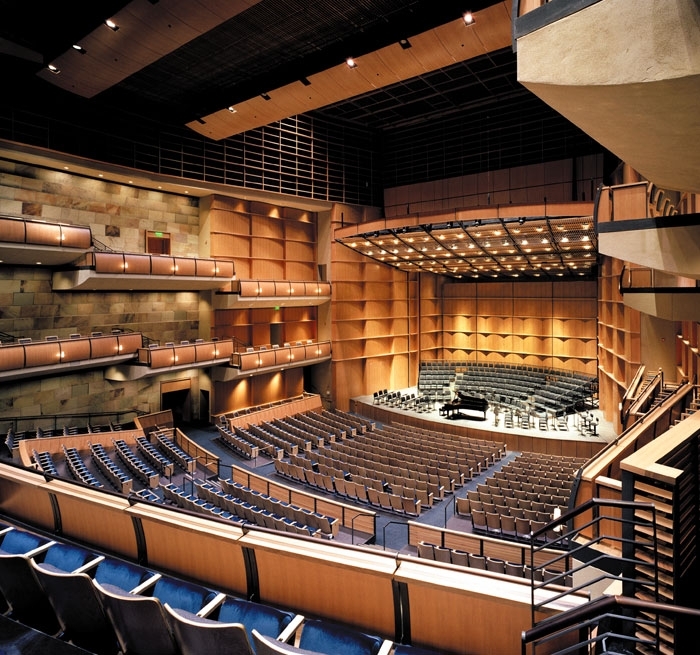 The Robert and Margrit Mondavi Center is renowned for exceptional acoustics and innovative design. Collaborating with BOORA Architects, Auerbach Pollock Friedlander provided programming, theatre planning and detail theatre systems design consulting for the 1,800-seat multi-purpose Barbara K. and W. Turrentine Jackson Hall and the 200-seat Vanderhoef Studio Theatre. 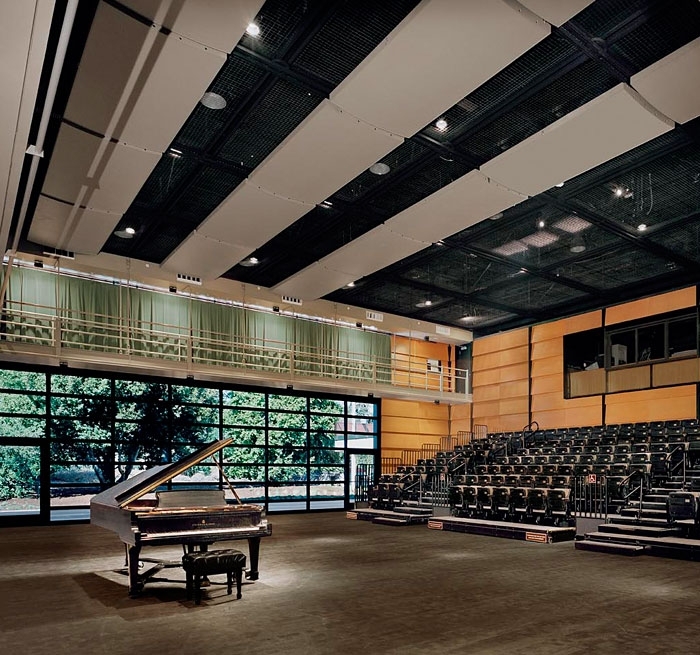 Designed with the acoustic qualities of classic concert halls, Jackson Hall’s contemporary shape easily accommodates a wide variety of performances, from classical orchestra, to touring Broadway productions and popular entertainment. The formal gathering place for arts programming, university meetings, lectures and ceremonies required a great deal of flexibility. 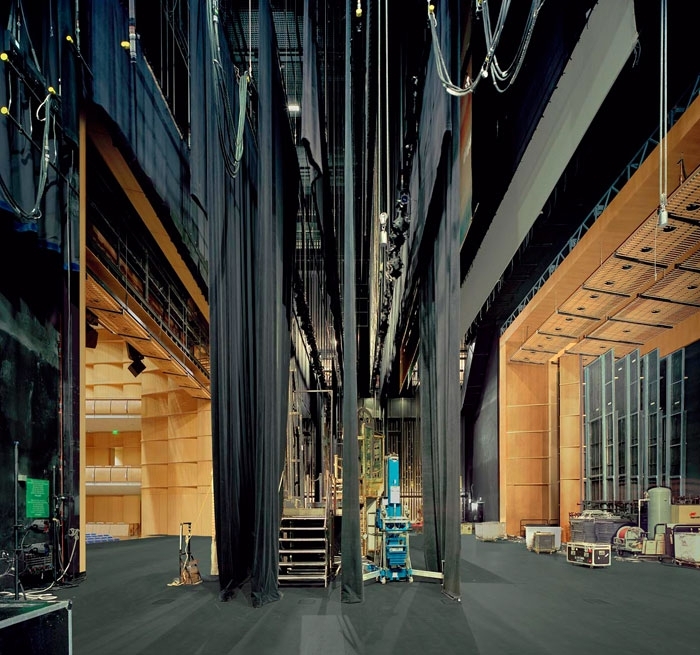 The mechanized orchestra enclosure, together with a variable acoustics system, enables rapid changeover from one performance configuration to another. Three levels of seating with terraced side boxes and a balcony with shallow overhangs maintain a sense of intimacy despite the size of the space while preserving the open acoustical environment. Clear sightlines to the front of the stage edge, along with a view of the orchestra seating from the balcony, ensure a commanding view of the stage and audience communication. 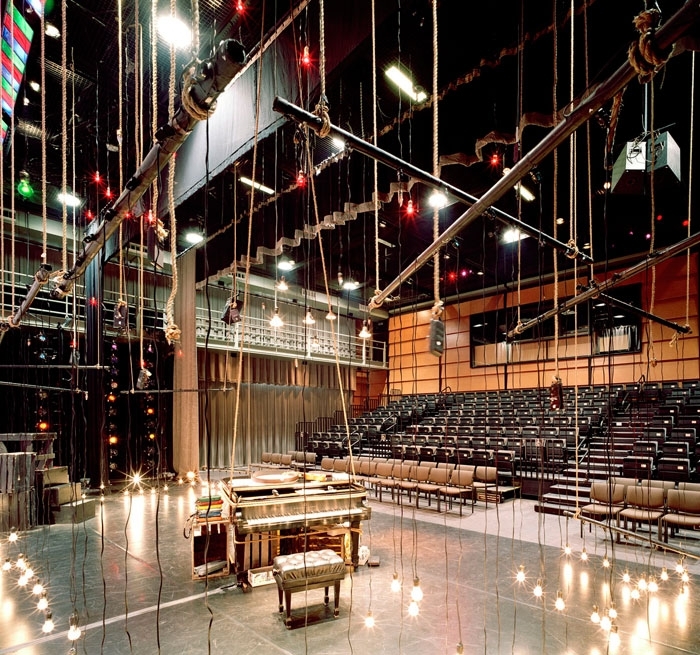 The intimate Vanderhoef Studio Theatre is designed with a telescoping seating system, a sprung-wood, radiant-heated floor to accommodate dance and motorized draperies to adjust acoustics as needed. The studio is a technologically-advanced space with a tension grid ceiling, adaptable for use in a variety of configurations.